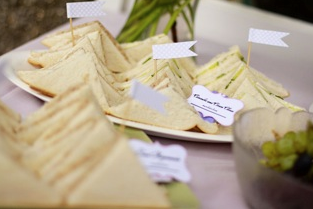 Hosting parties can be a very expensive and time-consuming task. As a young mom and graduate wife, you might not have the finances and energy to decorate, cook, and clean up for special occasions. You might convince yourself that someday, when you graduate from your role now, you will host elaborate parties and gather to celebrate the ones you love. I have learned from my time as a graduate wife (4 years and counting!) that now is that time to make those memories, and you don’t have to spend a fortune to do it. In my home, we recently celebrated my daughter’s first birthday. Making it to a year with an infant, now toddler, is an incredible milestone! I began brainstorming themes months ahead. I ended up choosing a “garden party” theme, mostly because we live in England and it would be a sweet way to remember where she spent the first year of her life. Also, we live in a flat that is surrounded by a garden (convenience-check! free- check!). The best resource for finding a theme is thinking about what you and your child enjoy. Do you enjoy animals at the zoo together? Do a circus theme. Do you enjoy reading a particular book before bed? Do a Dr. Seuss theme. Do you and your child enjoy a particular activity? Do a sports theme. Obviously, the options are limitless. I encourage you to take a look at your daily life and find your inspiration! Google is incredibly useful for this next step (or BING, whatever your flavor), but organizing inspiration can be messy. I recommend registering with a site such as Delicious or Digg. Once you have a theme, you can begin searching particular keywords. I often veer over to the ‘image’ search results. Go ahead, give it a try: choose one keyword for a theme that you have in mind and see what kind of inspiration you come up with! Bookmark everything that inspires you- whether it is a photo, tutorial, or free printable. Hopefully you have found a lot of helpful design elements and inspiration during your web search. In this step, you will begin to choose the elements that you want to use for your party. To save money on decor, you can use a helpful DIY tutorial on the Internet. This step will be the most time intensive. You will want to give yourself a month or two to complete these crafts and design elements. 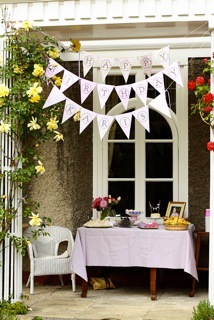 Schedule your décor DIY’s during the month or two before the party and make achievable goals. Write down which days you will designate for each task. For example, I would give myself 3 evenings to accomplish one task (bonus- this gives your dear hubby a chance to catch up on some much needed research!). I found it helpful to be in the same room as him, listing to NPR or music, while I did my crafts. It felt like we were spending time together, but still accomplishing our goals. 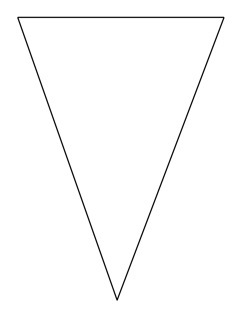 Printable Bunting– labeled with ‘Happy Birthday’ (there will be a free downloadable template at the end of this post!).. Menu Labels (found here) by adding text in photoshop, but you could easily just write in it. Have fun with this process, but don’t allow it to overwhelm you. Remember, keep things simple and make achievable goals. The big day has come! Make a schedule for the days leading up to the party- for example, which food to prepare ahead of time, when to setup, who can help, etc. I purposely designated preparation and setup during my daughter’s nap times so that my hands were free to work. I didn’t have an overwhelming amount of food prep, but I did prepare most of it during the first nap (except for the cupcakes- which I prepared the night before and iced in the morning). I also planned a few simple activities for our guest. We had crochet available (very English!) and kites for the children to fly. Another suggestion would be a craft for the children to do. Find some friends who can help you with tasks during the party. 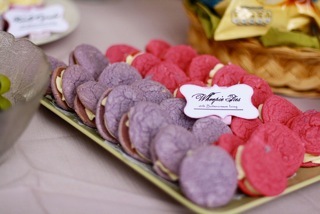 For example, ask that friend with that amazing camera to take pictures of the guests and details. Maybe someone can film your child taking her first bites of sugar coated icing and cake. Don’t worry about a flawless presentation, but greet and enjoy your guests! And if something about your food or décor goes awry, let it go. Your child won’t even notice (and I bet your guests won’t either). On your graduate wife journey, have you found any other tips for creating parties or hosting events for pennies? Thank you so much for sharing this post. Well done! It is so inspiring and creative and it really is amazing how much you were able to do without spending much money at all! 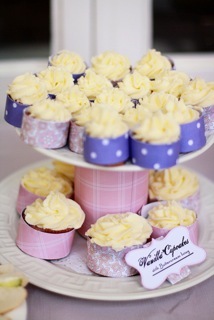 I’m going to try and think of some other ‘hosting on a budget’ tips and share them soon. 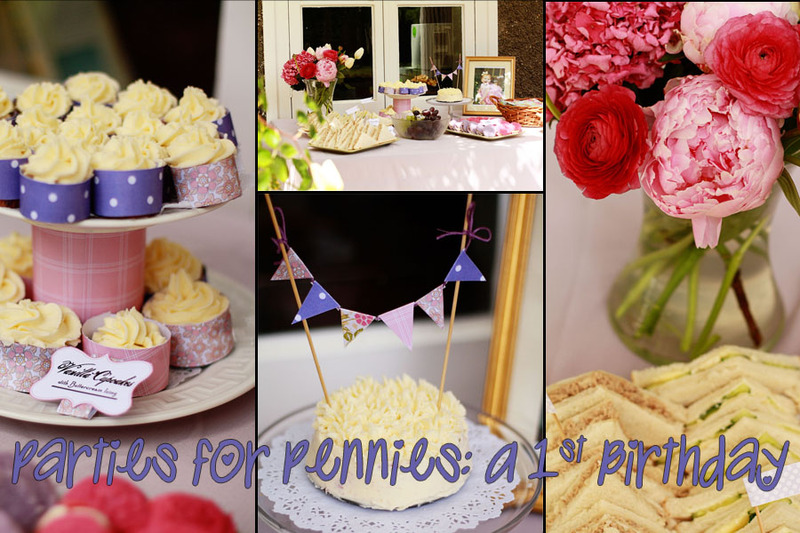 It’s so true that the thought of doing a party can be overwhelming and seem so pricey, but it definitely doesn’t have to be. Your organizational tips were great!! p.s. 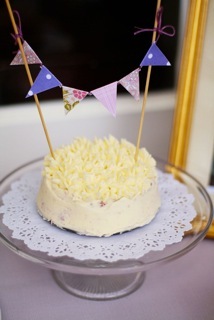 I loved your cake bunting! So so cute! What a fantastic post! I love the tips you wrote for hosting a stress free party while managing expectations. And I’m glad you got use of my printable party flags! They look great on the sandwiches. Thank you for the mention. Vanessa, Thanks so much for posting! And, timely as well, as we prepare for our little guy’s 2nd birthday. in the beginning stages and I require a portfolio. Do you need a website design completely free?